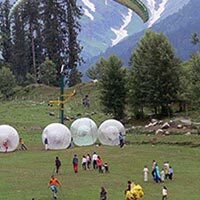 Tourist Attraction in Himachal Pradesh unending natural beauty, pleasing climate and friendly people is a paradise on earth. 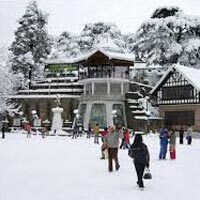 A tourist will find so many Himachal Pradesh Tourist Attractions that it will take a long time to visit all the destinations. Each and every district has several fine tourism sites in its kitty, which attract people all around the world. Himachal Pradesh stands to be the nirvana for tourists as its location in the lap of Himalayas has been a great source of Himachal Pradesh tourism. With snow capped mountains, deep valleys and meandering rivers, Himachal Pradesh always remains ready to allure you completely. 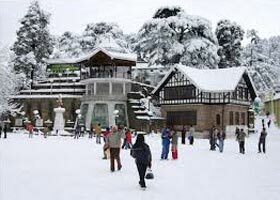 Tourism in Himachal Pradesh has reached its soaring heights as the places like Mandi, Shimla, Manali, Dalhousie, Chamba, etc. Package includes vehicle3.09% Government service tax extra. 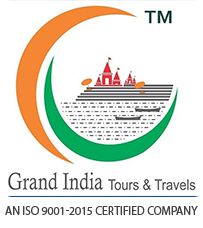 On arrival at Delhi / Chandigarh Airport or Railway Station you will be received and proceed to Shimla by car. Check in at the hotel & rest of the evening at leisure. Dinner & overnight stay at hotel. After Breakfast, there will be an Excursion to Kufri, famous for its Himalayan National Park, Poney and Yak Ride and one can see the endless Himalayan Panorama. After lunch, there will be Sightseeing of various places in and around. Overnight stay. 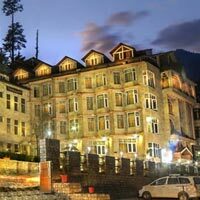 After breakfast, sightseeing of places in and around Manali, like Hidimba temple, Manu Temple, Vashisht Bath, Van Vihar and evening shopping at the local market. Dinner & overnight stay at hotel. Half day excursion to Rohtang Pass (51 Km and at 3979 mtrsaltitude) - the gateway to "Lahaul-Spiti valley". (Will have to hire taxi directly as local taxi are allow to visit Rohtang pass) It affords a wide panoramic view of the mountains. Evening at Leisure. Dinner & overnight stay at hotel. After breakfast proceed for local half day sightseeing including The Tibetan Medical centre and Church of St. John and visit to the local monasteries. Drive to Dalhousie. Check in at the hotel & rest of the evening at leisure. Dinner & overnight stay at hotel. After breakfast take an excursion to Khajjiar, which is often called Indias Switzerland. Along its fringes, thick forests of Deodar climb the slope. Dinner & overnight stay at hotel. After an early breakfast drive to Chandigarh. Visit Sukhna Lake, Rock garden & Rose garden. Night stay. After breakfast proceed to Delhi & drop at airport / station. 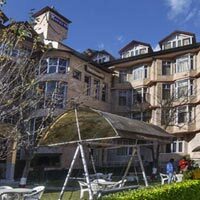 About the Hotel The magic of the Manali Inn Hotel is in its serene location, luxurious amenities and warm hospitality. Indulge in the discovery of the mystic beauty of the Himalayas; where the bright golden light of the sun scatters over snow covered mountains in the morning, the sounds of the river Beas gushing downstream and chirping birds calms you during the day, and the bright light of the moon reflects off the white snow at night. Romance abounds in centrally air conditioned rooms operated through VRF technology to maintain the temperature as per your choice, with pine wood finish, selective brassware and custom made furniture. Our culinary team offers delectable food with a vibrant blend of fresh ingredients and Indian spices. Ayurvedic massage and spa treatments that include Jacuzzi, steam and sauna takes your senses on an unforgettable journey. Our fitness centre provides equipment for every style of exercise. The video game parlor keeps your kid and the kid in you captive when at leisure. And if that's not enough, the Saqi Bar in Club Jhoom serves wide range of liquor in the backdrop of pulsating lights and music, so you can dance and lose yourself in the moment. Our amenities and services We seek your comfort and to ensure a seamless vacation, we offer a wide range of amenities and services. This includes a secure and large parking space for buses and other vehicles, travel desk facilities and power backup. We accept all major credit cards. Our room amenities and services include LCD, tea and coffee maker, wake up call, doctor on call, hair dryer on demand, security vault, hot and cold running water and telephone. 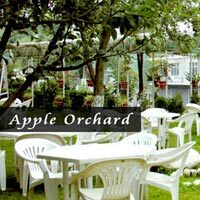 Rating	4 Star Address	Rangree, Manali 175131 Accessibility	Bhuntar Airport : 43 KM Manali Bus Stand : 1.5 KM Locational Advantage	Situated on National Highway21, facing river Beas.